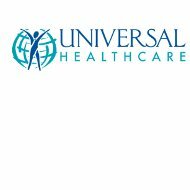 Universal Health Care Insurance Company was established in 2002 by a Florida physician. Under Universal Health Care Insurance Company are four subsidiaries, which provide Medicare Advantage Health Care Plans to Medicare recipients, and Medicaid plans to individuals who qualify. Get online health insurance rates from active providers by entering your zip code now! Individuals interested in enrolling in Universal Health Care Medicare plans can enroll online on the Universal Health Care website, or by calling (800) 965-7034. Individuals interested in enrolling in Universal Health Care Medicaid plans can call their local Medicaid office or Universal Health Care at (866) 690-4842. If you are already a member, you can use the myUniversal portal on the website to view your account information. Universal Health Care no longer offers individual plans. However, if you are already enrolled in an individual plan, you van view benefits and general information on the company website. Universal Health Care offers various Medicare Plans to meet the needs of seniors. The first plan is the Universal Health Care Insurance Company Medicare Masterpiece policies that are available in HMO plans or PPO plans. The second plan is known as the Hassle Free Medicare plan, which is also available in varying PPO plans. All of the Medicare plans are available to individuals in certain counties and states that are already enrolled in Medicare. If you are undergoing kidney dialysis you are not eligible for the plan. Under the Medicare PPO plans, policyholders may visit physicians, specialists, or hospitals within the PPO network or outside of the network. Benefits will vary depending on whether the provider is in or out of network. A provider directory can be provided to you by calling customer service or viewing it under the provider section on the company’s website. The HMO plans require that policyholders only see or visit physicians, specialists, and hospitals, which are in contract with Universal Health Care. If you choose to see an out of network provider, Universal Health will not pay for it. A provider directory is available upon request or on the company’s website. Prescription medication must be filled at Universal Health Care participating pharmacies. If your prescription is filled elsewhere, Universal Health Care will not cover the expense. Participating pharmacies can also be reviewed on the company website. The company’s website offers brochures and comparisons on all of these plans for further explanation including benefits, costs, and plan options. Universal Health Care Insurance Company offers an advantage plan called the Any, Any, Any Plans. There are two different plans within the Any, Any, Any plans. To be eligible for either plan, individuals must already be enrolled in Medicare Part A and Part B. If you are undergoing kidney dialysis you are not eligible for the plan. The Any, Any, Any Plans also provide prescription drug coverage. However, you must use a participating pharmacy to receive plan benefits. A list of eligible pharmacies is available on the company website. Policyholders must use participating physicians within the Any, Any, Any network of providers to receive benefits. A provider directory is available for your review. The company’s website also provides a brochure on these plans for further explanation including benefits, costs, and plan options. Under Universal Health Care Insurance Company Medicaid Plans are available under the policy known as the Universal U-First Plan. There are two different plans within the Universal U-First Plan. One is known as a Reform Plan and the other is known as the Non-Reform Plan. You must live in certain Florida counties to be eligible for either of these plans. The Universal U-First Plans include medical benefits such as no-copayments for doctor’s visits, hospitalization, emergency transportation, prescriptions, family planning services, laboratory, X-rays, and home health care. Some of these services do require pre-authorizations, so you should review your benefits prior to scheduling these procedures. Additional benefits of these plans include a 24-hour nurse who is available to answer any medical questions or concerns at (877) 810-4236, and an over the counter drug allowance of $25 a month. Complete plan guidelines and benefits can be viewed on Universal’s website under the Medicaid section. To receive a complete list of benefits and cost, contact Universal Health Care. Other programs include information on pediatric asthma and prenatal care. A complete list and explanation of these benefits is available on the company’s website. If you feel your claim was denied in error, you may file a grievance. All claims should otherwise be filed by the health care provider. You can send an email to any department via the website under the Contact Us section. Simply choose the department, fill out the requested information, and submit. There is always live help available via the website to answer any questions or concerns you may have regarding the Universal Health Care plans. Find local health insurance providers in your area by entering your zip code now!